"Last Week Tonight" returns just in time Sunday, following a three-month hiatus. 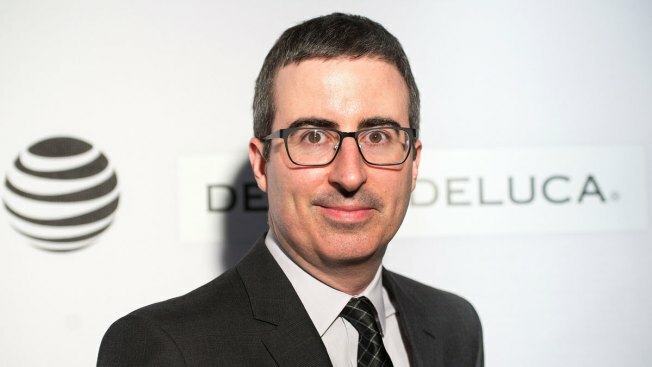 John Oliver is gearing up for a new season. Moments after John Oliver won his second consecutive Emmy for Outstanding Variety Talk Series in September, late night comedy rivals Stephen Colbert and Jimmy Kimmel toasted him with a cocktail they dubbed, "The Last Week Tonight." "It's so high quality, apparently they can only make one a week," Emmys host Colbert quipped. The bit poked fun at Oliver's place in a late night TV landscape that, save for Samantha Bee and Bill Maher, is filled with hosts who turn out four or five shows a week, near year-round. For Oliver, 2018 begins Sunday when "Last Week Tonight" kicks off its fifth season on HBO. His return, following a three-month hiatus, is worth raising a glass. Oliver started working for Jon Stewart at "The Daily Show" in 2006, when the term "fake news" largely referred to satirical TV fodder. As the world got crazier, the lines between news and comedy blurred – to the point where “The Daily Show" became a trusted information source to some viewers. With his move to HBO in 2014, Oliver carved a niche by making his weekly program the "60 Minutes" of the comedy news field. Extended, research-intensive segments became the "Last Week Tonight" hallmark, with pieces tackling everything from misleading scholarship claims by the Miss America pageant to impact of the decline of local newspapers to proposed designs for New Zealand’s new flag. Stunts – goofy and otherwise – created buzz. Oliver purchased $15 million worth of medical debt for about $60,000 – and forgave what was owed to shine a light on predatory bill collectors. He set up a phony church (Our Lady of Perpetual Exemption) to show how easy it is for unscrupulous, profiteering preachers to start tax-exempt religious institutions. And he created a stand-in U.S. Supreme Court comprised of dogs in robes. Last season reached new high points – and jabbed some raw nerves. The show paid to air a series of folksy, issue-oriented commercials aired in Washington during "Fox & Friends" in a bid to get President Trump's attention. Oliver mercilessly mocked FCC Chairman Ajit Pai’s oversized Reece’s novelty mug while skewering the push to end net neutrality. A segment about a litigious coal mining baron spurred a lawsuit. Oliver has stayed out of the spotlight in recent weeks with Bee and Maher already back at work and Colbert, Kimmel, Trevor Noah and Seth Meyers producing quality political comedy night after night. Still, Oliver's output over his first four seasons, which averaged about 30 installments apiece, boosts hopes his return will be worth the wait. We could all use a finely aged "Last Week Tonight" cocktail, especially at a time when current events are a lot to swallow.